The National Mall is the ultimate tourist attraction. From the Capitol to the Washington Monument to the Lincoln Memorial, it’s really got everything on it. However, it’s usually a pretty busy place during the day. The absolute best time of day to go, in my opinion, is late at night. Not only is everything lit up and stunning in the dark, but there’s significantly fewer people. 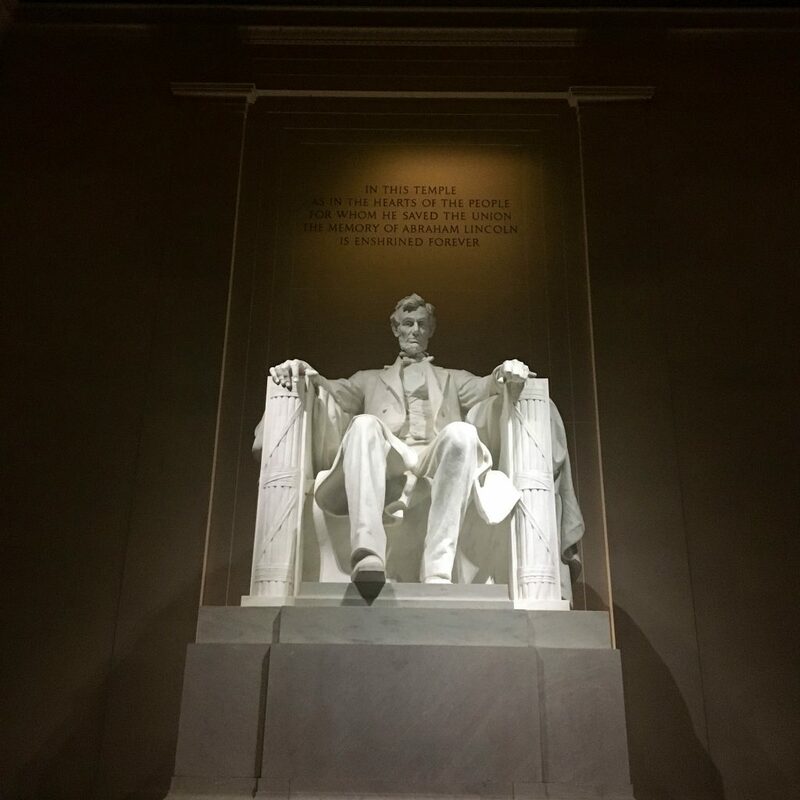 Instead of fighting through hundreds of people to get up the steps to the Lincoln Memorial, you can walk straight up and stand directly in front of the man himself. The Smithsonian Museum of Natural History is the iconic museum everyone thinks of when they think of DC – it’s got the huge dinosaur skeletons, the Hope Diamond, and all sorts of interesting elements of natural history. However, this place is a zoo (literally). It’s always so crowded and you can’t really enjoy the full Smithsonian experience. However, if you go to any of DC’s museums that aren’t on the National Mall, you’ll find that the amount of people drops significantly. 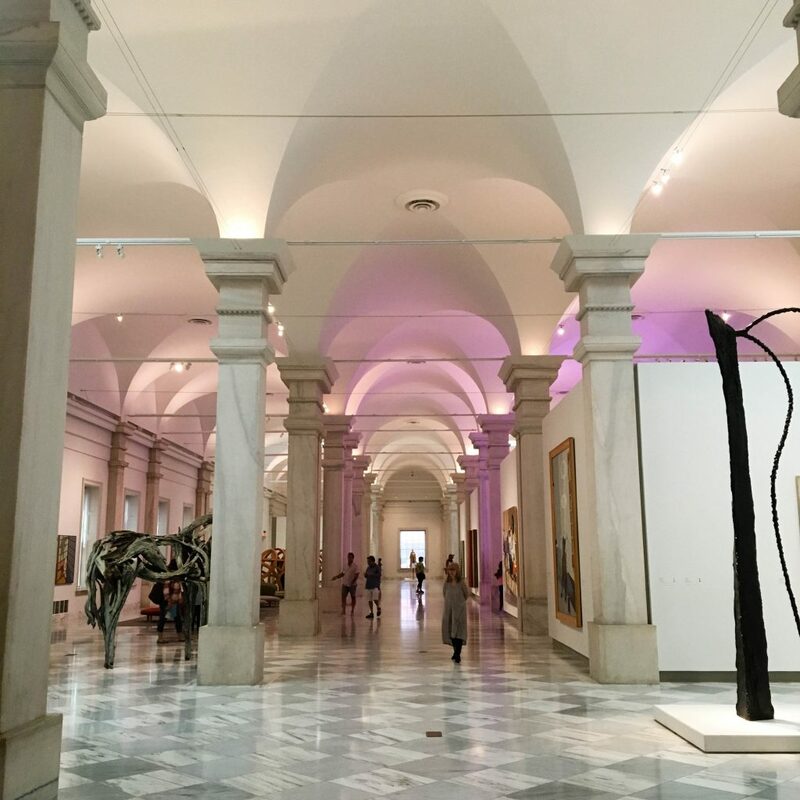 My favorite is the National Portrait Gallery and the Smithsonian American Art Museum (they share a building) that can be found in the Chinatown area. Since it’s not in the middle of the other tourist attractions, it gets significantly less foot traffic but is just as (if not cooler) than a lot of the other Smithsonian Museums. If you do want to hit up some of the more standard tourist attractions, go early. The earlier you can get somewhere, the better. When my parents visited, we wanted to bike through the National Mall during the daytime, so we went around 8:30 a.m. While there was still a sizable amount of people there, it was way less crowded than it would be later in the day. So get up early, caffeinate, and explore before most people get out of bed. I’m not going to lie, most of the food near the tourist-y areas is subpar. If you want good DC food, go up into the Metro Center/Chinatown area or even farther up into other DC neighborhoods. There’s usually fewer people in those areas and the food is way better. 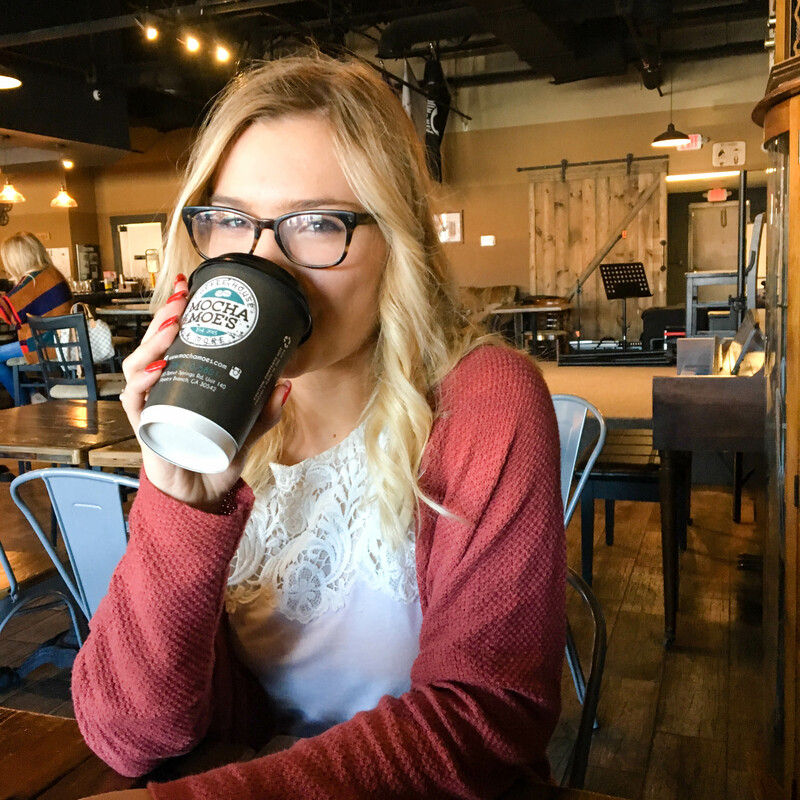 If you want some food recommendations, check out my posts on vegan restaurants and coffee shops – they’re A+. Also, if you’re going to eat at a sit-down restaurant, particularly during the weekend, make a reservation; otherwise, you’ll be waiting for a table all night. 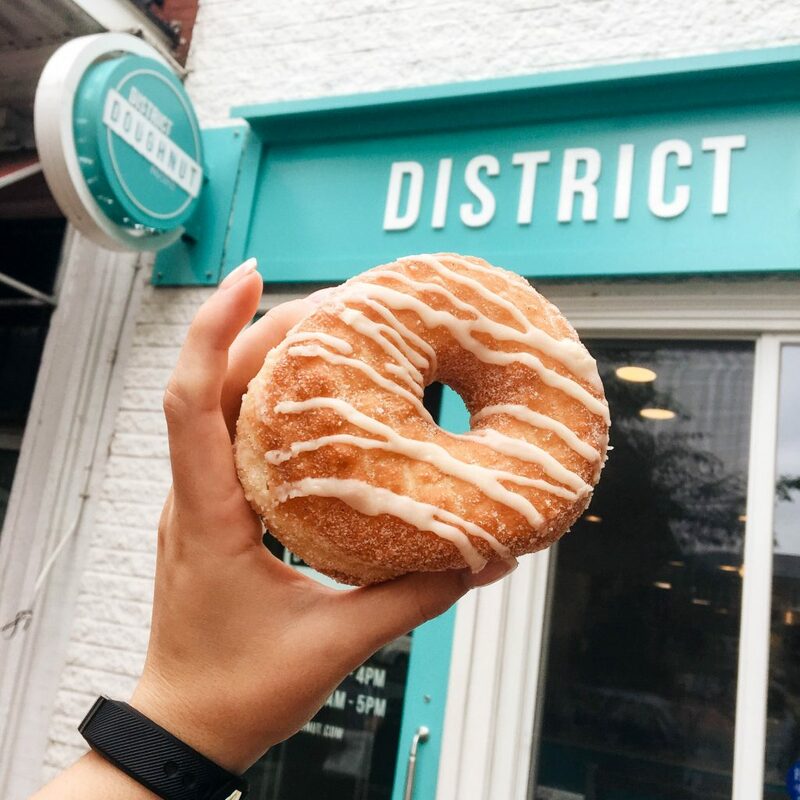 District Doughnut is my all-time fave place in DC. 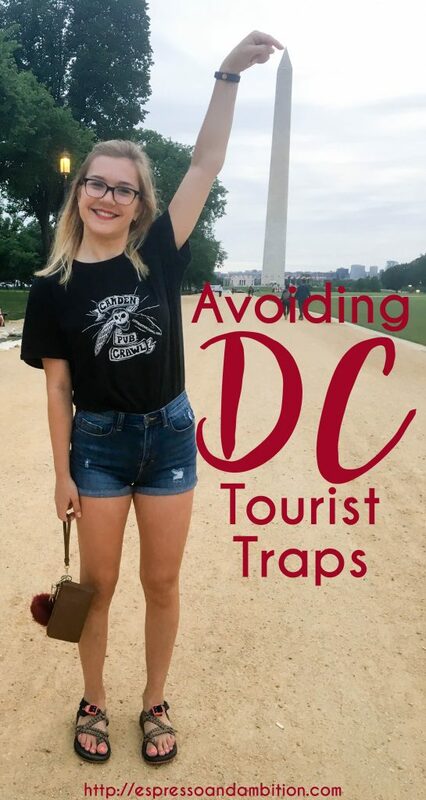 If you want to really get in the know before your DC trip, subscribe to local DC emails. 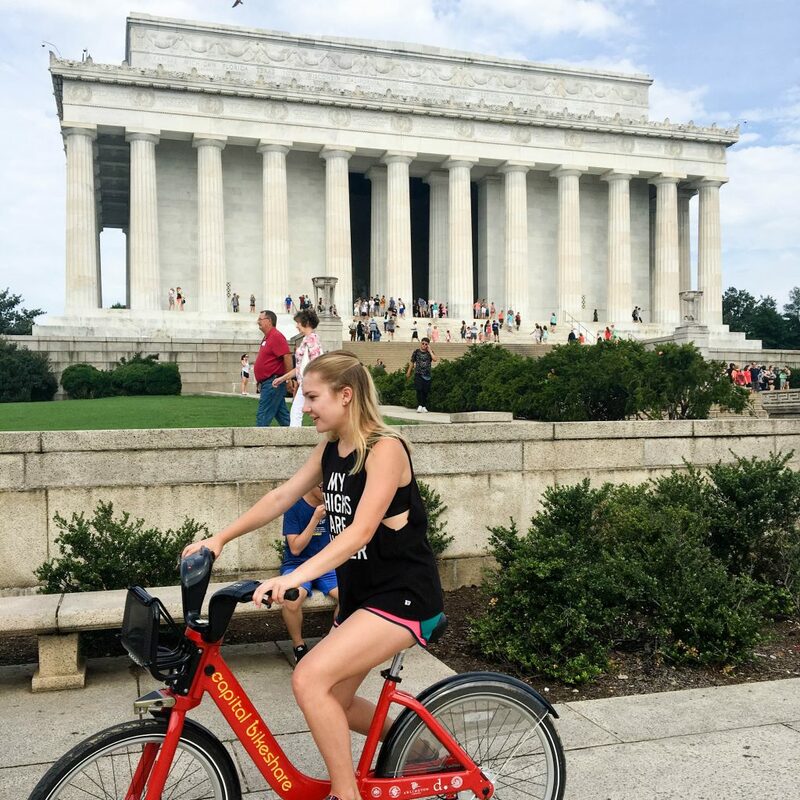 They often have updates on cool activities going down in the upcoming week – anything from movies on the Library of Congress lawn to circus performances on the National Mall. You’ll feel just like a local by being keyed into all of these interesting events. My favorite email subscriptions are DCist and 730DC. As you’re reading this, I’m getting off of my place in Atlanta – I’m home! I’ll miss the amazing city of DC, but you can guarantee it hasn’t seen the last of me. Anyways, if you’re gearing up for a trip to DC, have the greatest time (and good luck avoiding the crowds)!